As it’s Halloween tomorrow I thought I would share my Halloween makeup looks from this year. They’re both really easy and largely done with makeup items I already had a home; there’s a glam look and a more gory one too- perfect no matter what look you’re going for! I actually don’t have any plans for Halloween this year, the makeup part is my favourite and I feel like I have already done that through these videos. Instead I’ll be at home eating Betty’s Brownies and chocolate whilst drinking tea. 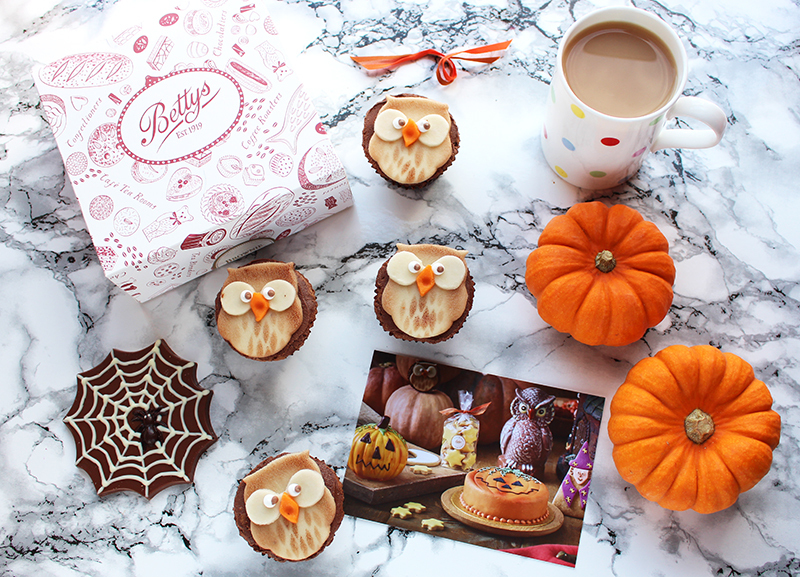 The Halloween collection from Betty’s is really pretty and really tasty too: there are cakes, chocolates, biscuits and more. I’m already excited to get my hands on the Christmas one but would highly recommend the cupcake brownies too. The Zombie Make-up looks amazing! Love it! Nicci Cawthorne "Manchester Makeup Artist"